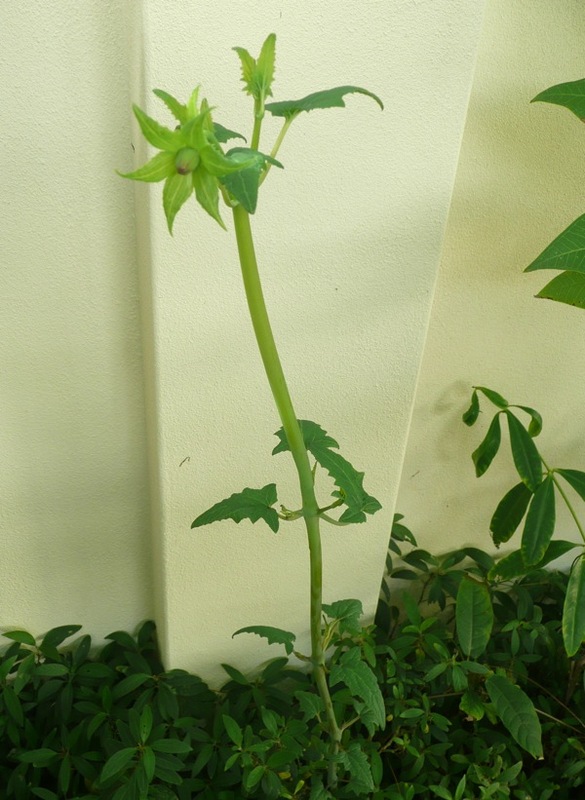 It’s easy to forget that you have a Canary Island bellflower in your garden until Jack-and-the-Beanstalk like, a new shoot appears and quickly rockets up to 1m in height within days. That’s exactly what happened in my garden. 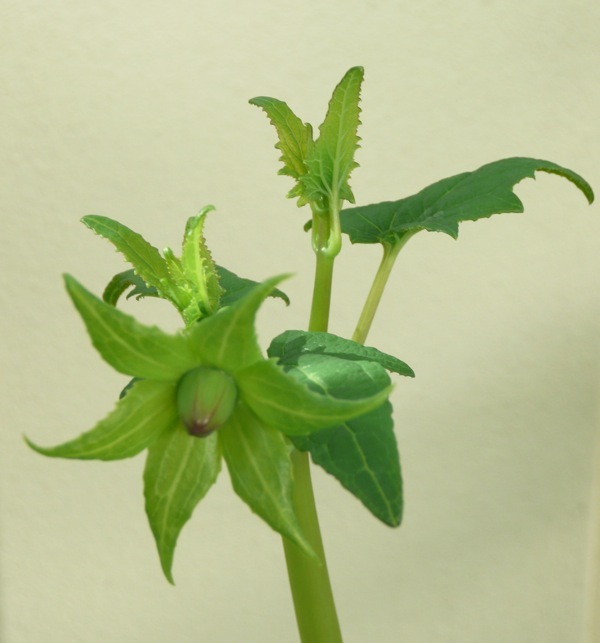 I had never heard of or seen a Canary Island bellflower until back in November 2008 when I bought a fragile looking little plant which I was told was a climber with orange flowers. I thought it might go well with a yellow Allamanda that was growing in my courtyard. When I got it home I placed it, still in the pot, amongst some greenery at the base of the Allamanda, intending do a bit of research on it before I planted it. It promptly died before I had done any research! Or so I thought. It was a case of out of sight out of mind. I forgot about it until the following autumn when a new plant with semi-succulent leaves suddenly appeared. I did a quick Google and learnt that the Canary Island bellfIower goes dormant in hot dry weather and, as I discovered in my garden, it dies back completely in summer. As predicted it died down again in early summer without producing any flowers but the following May up it shot again, this time twining up through a dwarf frangipani. I went on holiday for 6 weeks and when I returned I was really thrilled to discover that there were half a dozen flowers in bloom. They continued to glow like little lanterns for over a month. The bells are about 3cm long and are pale orange with red veins and are so tough that they feel like plastic. This means that each flower actually lasts for the whole flowering season of June and July. The stems look weak and as though they would easily snap but in fact they can be repositioned without them breaking. The toothed leaves are soft and velvety. Apparently the flowers are pollinated by birds but I haven’t noticed any visiting my plant. A week or so ago a new shoot emerged again so I am looking forward to another display this winter. 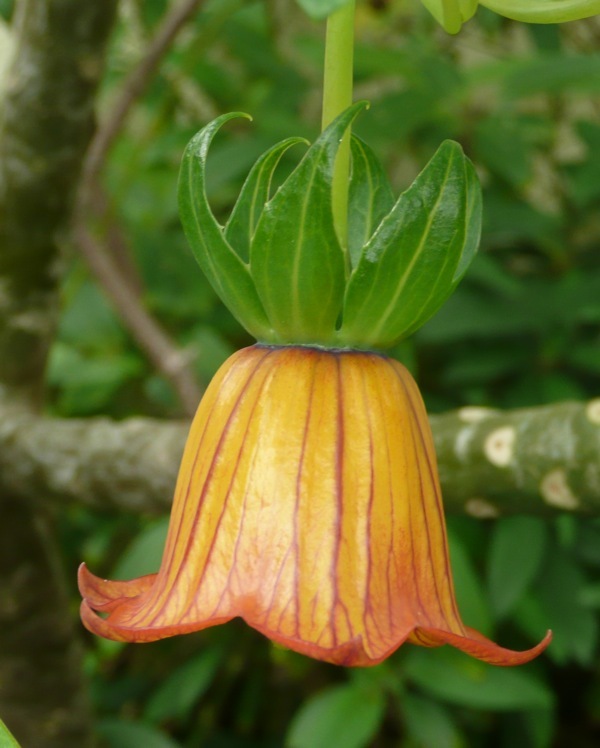 The Canary Island bellflower goes by the rather lovely botanic name of Canarina canariensis and is related to another genus of beautiful bellflowers, Campanula. It is only found in the Canary Islands where it grows in the shady forests. Canarinas prefer humus rich soil that is well drained. Underground storage tubers mean that they can survive the long dry periods of summer. These tubers can rot if the soil is too wet during dormancy but on the other hand they can die if the soil is too dry at this time. My plant is still in its original pot sitting at the base of the Allamanda but it appears to be quite happy there as it is well drained and is sheltered by the vegetation around it. I know this isn’t best horticultural practice but as it was forgotten for so long and seemed to be going OK I didn’t want to disturb it too much. I have tried to cut away as much pot as possible to free it up a bit. It receives very little water from the reticulation system during the summer months but is well watered in winter by the rain. During this last year I watered it from time to time with worm juice and it received a small amount of Osmocote that I occasionally broadcast around but other than that, it hasn’t had any special treatment. It seems to have thrived on neglect but I think the microclimate in my courtyard provides just the right environment for it – warm, frost free and the tuber and roots are shaded from the hot afternoon sun in summer. 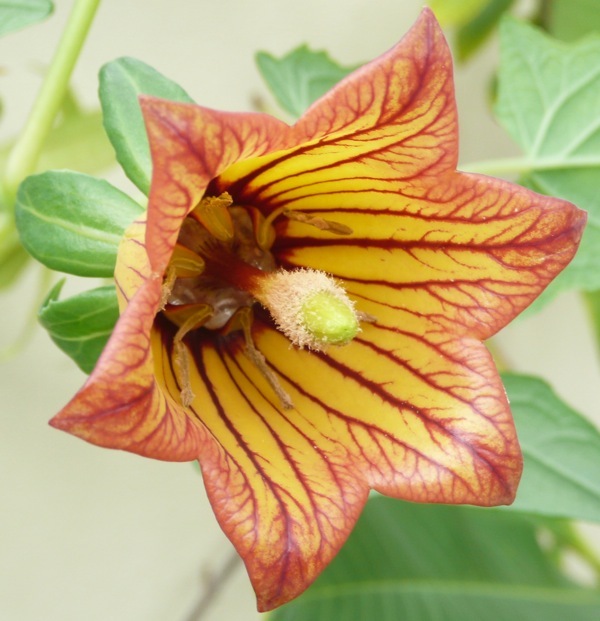 Although the Canarina comes into flower after the Allamanda has finished flowering I’m glad that I bought it because it is great to have some colourful flowers in the winter months. You asked where you could buy Canarinas from. I bought mine from a garden club. I’ve never seen them listed on nursery wholesale lists but you could try a nursery specialising in rare and unusual plants. Since I did the blog I have been told that the seeds germinate readily so perhaps you could buy some seed on line. It is available at my nursery Dicksonia Rare Plants at Mt. Macedon in Victoria and I have them in 6″ pots at the moment. I don’t however mail plants out. I just bought one in New Zealand on a trade auction site in a bidding war. Cost me $68.00 New Zealand. Have you ever had fruit on yours? I’m a food girl and bought this little orange flowered gem:} for not only it’s flowers but the fruit (said to be edible).